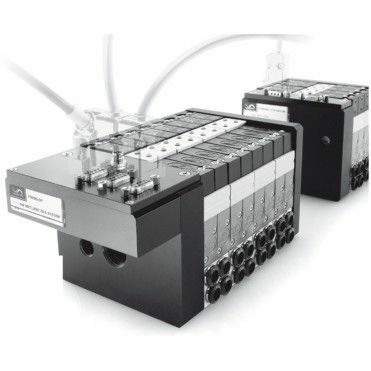 The 4HF NETLOGIC fieldbus slave node is an integrated system that allows to run and operate a complete set of digital process data in both directions: from/to master to/from field. The slave node is made by a bus processor able to manage up to 128 digital outputs (solenoids) and up to 128 digital inputs (switches). The bus processor is integrated in the initial slave island which can have up to 32 solenoids and 6 further expansion islands with max 16 solenoids each. It's also available an 8 connection output box to operate remote digital outputs with power up to 10W each.